History: (What If? II#7) - Following a battle with the Hulk and Wendigo, Wolverine was picked up by James Hudson, as well as Nick Fury of S.H.I.E.L.D., who offered Wolverine a place in the organization. James then explained to Wolverine that the Canadian government had agreed to loan him to S.H.I.E.L.D. but Wolverine quickly interrupted that he was not property to be lent out. He then visited the S.H.I.E.L.D. Helicarrier where Fury explained that S.H.I.E.L.D. had been infiltrated by an advanced form of LMD and he needed Wolverine to help sniff out the LMDs within S.H.I.E.L.D. Immediately after learning what he was needed for, Wolverine attacked Dum-Dum Dugan, whom he slashed through the heart, revealing that Dum-Dum had been replaced with an LMD. Wolverine then agreed to help find the rogue LMDs and he was teamed with the Black Widow to hunt them down. Forty-five minutes later, Wolverine and the Black Widow (complete with a new hairstyle thanks to Wolverine) had destroyed all of the rogue LMDs within the Helicarrier and Fury then announced that he had found Hydra's base within the Appalachian Mountains. Leading the assault, Fury led Wolverine and the Black Widow on a rescue mission to retrieve the real Dum-Dum Dugan. 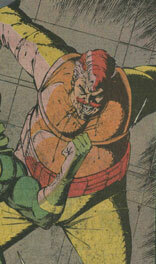 Their rescue was interrupted by Baron Strucker, whose Satan Claw Wolverine made quick work of with his claws. While the Black Widow took out Madame Hydra, Fury and Strucker engaged in one-on-one combat until Fury managed to electrocute Strucker. Following the mission, Fury offered Wolverine a permanent place in S.H.I.E.L.D. and Wolverine agreed on the catch that he be freed from his Canadian government contract. Upon joining S.H.I.E.L.D., Wolverine quickly made a name for himself in missions against MODOK and A.I.M. and in mission alongside the Black Widow and Captain America, eventually earning the title of second-in-command under Nick Fury himself. Months later, Wolverine was approached by Professor Charles Xavier, who needed Wolverine's help. As Wolverine was declining Xavier's offer, Nick Fury was attacked in his Flying Ferrari by an LMD of Baron Strucker, who steered the Ferrari off-course before smashing to the ground. Fury managed to weave the uncontrollable Ferrari away from civilian casualties but ended up crashing into an oil tanker that was floating down the river. The resulting explosion cost Fury his life and three days later, he was buried in Arlington National Cemetary. With Fury gone, Wolverine was offered the director position within S.H.I.E.L.D., which he accepted. 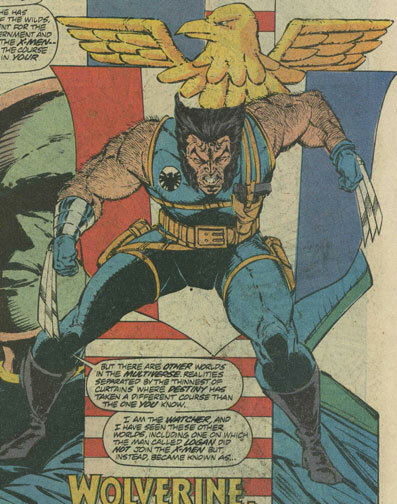 Using his authority, Wolverine halted Steven Lang's recreation of the Sentinels and discredited Senator Robert Kelly's Mutant Registration Act. Comments: Created by Jim Valentino, Rob Liefeld, and Scott Williams. 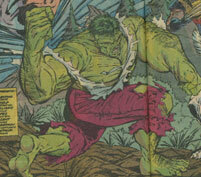 This reality diverged from the events seen in Incredible Hulk II#180-181 (October-November, 1974). A.I.M. was essentially the same as their Earth-616 counterpart organization. When Wolverine first joined S.H.I.E.L.D., one of his first missions was against the hordes of A.I.M. Black Widow was the same as her Earth-616 counterpart. As a S.H.I.E.L.D. 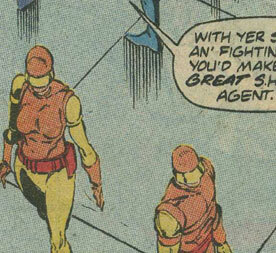 agent, she was often partnered with Wolverine and helped him discover the rogue LMDs within S.H.I.E.L.D. when Wolverine first arrived on the Helicarrier. She joined him on many missions afterwards, including the rescue mission against Hydra and a mission with Captain America. Black Widow had no superhuman powers but was a skilled spy, using gauntlets that housed hidden weaponry such as her "Widow's Bite." 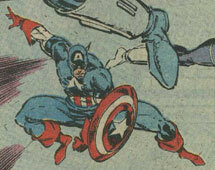 Captain America was the same as his Earth-616 counterpart. Once Wolverine joined S.H.I.E.L.D., he participated in a mission with him and the Black Widow. He presumably had peak human physical abilities and longevity, like his 616 counterpart. Dum-Dum was the same as his 616 counterpart up until he was kidnapped by Hydra and replaced with a rogue LMD within S.H.I.E.L.D. Fury managed to get the Canadian government agent Wolverine to help him weed out the LMDs within S.H.I.E.L.D. and Dum-Dum's LMD was the first to be destroyed. Eventually, Fury led a rescue mission into Hydra's Appalachian base where Dum-Dum was saved. Following Nick Fury's death, Dum-Dum was offered the position of S.H.I.E.L.D. Director but he turned it down. Dum-Dum had the S.H.I.E.L.D. training and weaponry that his 616 counterpart had. Nick Fury was the same as his Earth-616 counterpart up until he contracted Wolverine to weed out the rogue LMDs within S.H.I.E.L.D. Once the LMDs were destroyed and Dum-Dum Dugan returned to S.H.I.E.L.D., Wolverine was offered a place in the organization which he accepted. After Baron Strucker's death, a rogue Strucker LMD tracked Fury down and attacked him while Fury was piloting his Flying Ferrari. Fury managed to shake the LMD but the Ferrari was knocked off-course. Fury managed to pilot it away from civilian casualties but crashed the Ferrari into a Circle K tanker, causing an explosion that killed him. Following his death, Wolverine was named S.H.I.E.L.D. Director. Nick Fury had decades of military training and had the S.H.I.E.L.D. arsenal at his disposal. James Hudson was the same as his 616 counterpart up until Nick Fury met with him to discuss loaning Wolverine over to S.H.I.E.L.D. Following Wolverine's mission against the Hulk and Wendigo, James Hudson and Fury met with him and explained the situation. Hulk was the same as his Earth-616 counterpart. He battled Wolverine when Wolverine was sent in to keep the Hulk from entering Canada during a battle with the Wendigo. Hulk had superhuman strength, durability, and a healing factor, like his 616 counterpart. 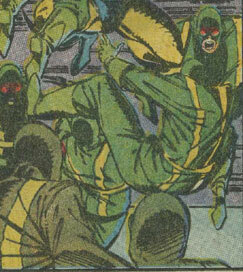 Hydra was the same terrorist organization as their Earth-616 counterpart. Using stolen LMD technology, Hydra sent numerous rogue LMDs into S.H.I.E.L.D. as spies but they were discovered by Nick Fury, who hired Wolverine to sniff them all out. After finding them all, Fury led a mission against Hydra to retrieve the kidnapped Dum-Dum Dugan which resulted in the death of Baron Strucker and the collapse of Hydra. Madame Hydra was the same as her Earth-616 counterpart up until she teamed with Baron Strucker to send rogue LMDs into S.H.I.E.L.D. as spies. During the mission to recover the kidnapped Dum-Dum Dugan, Madame Hydra was shot by the Black Widow. 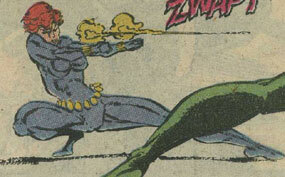 Madame Hydra used various conventional Hydra weaponry. 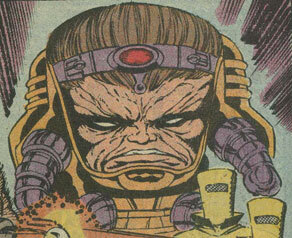 MODOK was the same as his Earth-616 counterpart. Wolverine went on one of his first S.H.I.E.L.D. missions against MODOK. MODOK presumably had superhuman mental abilities, like his 616 counterpart. Nightcrawler was the same as his 616 counterpart. He was present with Professor X when Xavier tried to recruit Wolverine. He presumably had the same teleportation, blending into shadows, and adhering to solid surface abilities that his 616 counterpart had. Professor Charles Xavier was the same as her Earth-616 counterpart up until he tried to recruit Wolverine. Wolverine declined and Xavier left without his help. He presumably had the same telepathic abilities that his 616 counterpart. S.H.I.E.L.D. was the same as their Earth-616 counterpart organization. Hydra sent rogue LMDs into the organization as spies but Nick Fury recruited Wolverine to sniff out the rogues. Once the organization was again secure, Fury led a rescue mission to retrieve the kidnapped Dum-Dum Dugan. Following Nick Fury's death, Wolverine was named Director of S.H.I.E.L.D. and using his newfound power, he halted Steven Lang's construction of Sentinels and discredited Senator Kelly's Mutant Registration Act. Baron Strucker was the same as his Earth-616 counterpart up until he teamed with Madame Hydra to spy on S.H.I.E.L.D. using rogue LMDs. Their plan was discovered and Nick Fury assaulted Hydra to retrieve the kidnapped Dum-Dum Dugan. 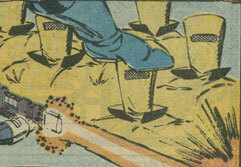 During the scuffle, Fury plunged Strucker's destroyed Satan Claw hand into a terminal, electrocuting him. 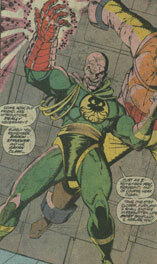 After his death, a Baron Strucker LMD attacked Nick Fury and eventually caused his death. Baron Strucker wielded the Satan Claw, which could project energy. Wendigo was the same as its Earth-616 counterpart. He battled Wolverine when Wolverine was sent to keep the Hulk from entering Canada. Wendigo had superhuman strength and durability, like his Earth-616 counterpart. 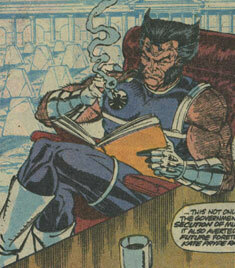 Originally codenamed Weapon X, Wolverine worked for the Canadian government until they loaned him to S.H.I.E.L.D. to help the organization weed out rogue LMDs within the organization. After helping Nick Fury save Dum-Dum Dugan, Wolverine was offered a permanent place in S.H.I.E.L.D. and accepted on the condition that he be freed from his Canadian contract. He soon rose to second-in-command of S.H.I.E.L.D. and while he was declining Professor Charles Xavier's offer to help him, Nick Fury was killed. Following Fury's death, Wolverine became Director of S.H.I.E.L.D. and used his newfound power to halt Steven Lang's construction of Sentinels and Senator Kelly's Mutant Registration Act. Wolverine had a mutant healing factor, superhuman senses, and adamantium claws, like his 616 counterpart.